I recently spoke at the 2018 Solution Mining Research Institute (SMRI) Spring Conference, held in Salt Lake City, UT. The purpose was to present a paper that Dr. Joel Warneke, of Cavern Solutions, and I have been working together on for some time. The paper discussed techniques in Reserve Estimation for Solution Mined Caverns in U.S. Gulf Coast Salt Domes. Joel and I both worked for Cargill Salt at the Avery Island Salt Mine early in our careers, then I went on to do solar salt mining in the San Francisco Bay Area and Joel went on to be a technical manager for Texas Brine Company, LLC. Therefore, we both know a thing or two about salt, brine, salt mining, and solution mining. The SMRI, which formed in the late ’50’s and early ’60’s, has been the solution mining industry’s research center for the past several decades. Much of the work has come from the U.S. Strategic Petroleum Reserve, from Sandia National Laboratories and related organizations. The focus of much of the work has been on measuring the caverns and predicting the growth of caverns. However, we found nothing that has been presented on the subject of long-term growth predictions, the accuracy of those predictions, and how it relates to Reserve estimates. Geologists and engineers do Resource and Reserve estimates all the time; how hard can it be? How hard is it to do a salt mining reserve estimate? Many of the Resource and Reserve estimates we review are based on assumed conditions. 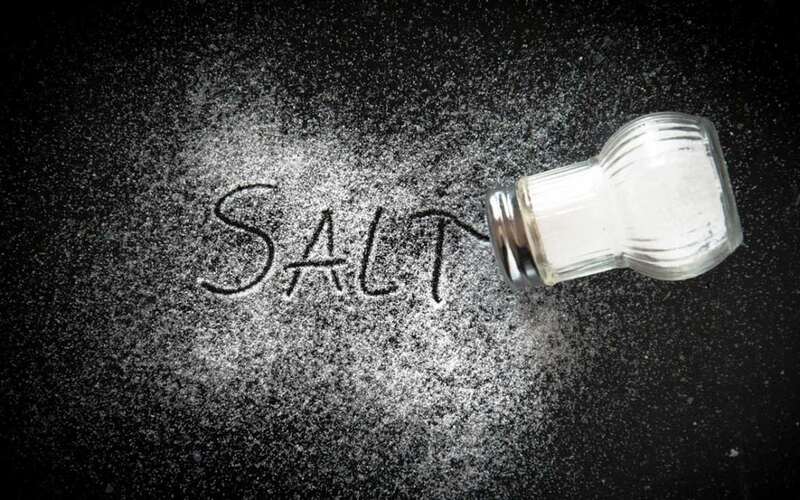 For example, “there are 10-million tons of salt assuming 3% insoluble content, 80% recovery (or mining efficiency), and no anomalous zones that would affect cavern geomechanics.” The stakeholders in this reserve will only read “there are 10-million tons of salt.” Are there really 10-million tons? What contracts will be negotiated on the basis that there are 10-million tons? How certain are we that there are 10-million tons, unconditioned upon assumptions for salt purity and recovery? Much to our dismay, many Reserve estimates in salt domes are based on assumed properties of salt, with no site specific drilling and testing other than low-cost geophysical exploration to identify anomalous zones in the deposit (i.e. experiences on one side of a dome are expected to be the same everywhere on the dome). What we know from our time underground in salt domes is that these deposits are not homogeneous! During the writing of our paper, Joel and I considered all the possible factors that could adversely impact salt reserves. The full paper may be obtained from me or Joel on request, or through the SMRI library which is available to members.